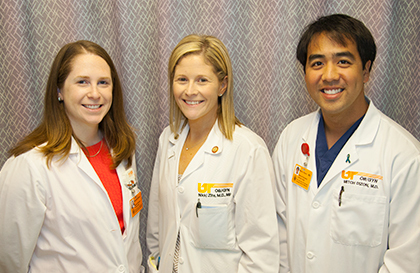 As a part of the University of Tennessee Health Science Center College of Medicine, the UT Graduate School of Medicine strives to meet the needs of our community, our region, and our state through healing, education, and discovery. Our mission is to provide comprehensive and state-of-the-art education for our students, the region's health care professionals, and the health science professionals who educate them at The University of Tennessee Medical Center and its affiliated sites. Our mission is in concert with the goals and initiatives of our clinical partner, University Health System Incorporated. We work with their administration and staff to fulfill all of the regulatory requirements of the ACGME, ACCME, JCAHO, SACS, the State of Tennessee and other appropriate accrediting bodies. Together, the UT Graduate School of Medicine and University Health System, Inc. form the University of Tennessee Medical Center in Knoxville. To foster an innovative learning organization through the leadership of pre-eminent faculty. To educate fellows, residents, and students to provide competent, safe and compassionate healthcare. To promote basic science and clinically relevant research. To cultivate physicians to be educational scholars, lifelong learners and informed consumers of clinical research. To collaborate with our partners and community for shared responsibility. The University of Tennessee Graduate School of Medicine (UTGSM) in Knoxville is a part of the University of Tennessee Health Science Center, the statewide academic health system. UTGSM together with clinical partner University Health System Inc., and the College of Pharmacy form the University of Tennessee Medical Center, Knoxville. The University of Tennessee Medical Center is the only academic medical center in the area. The University of Tennessee Center for Advanced Medical Simulation is the only facility in Tennessee and one of just 68 in the world to earn accreditation as a Level I Comprehensive Accredited Education Institute (AEI) from the American College of Surgeons (ACS). The Level I designation is the top accreditation available. 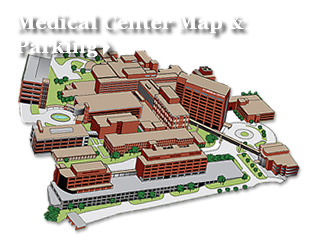 Our clinical partner, The University of Tennessee Medical Center, provides the largest array of comprehensive services on one campus in the East Tennessee region. The hospital serves as a referral center for Eastern Tennessee, Southeast Kentucky and Western North Carolina. As a major clinical teaching facility we offer a diverse environment for clinical education. M-3 Medical students are offered clerkships in Medicine, Family Medicine, Surgery, Obstetrics and Gynecology, Pediatrics, Psychiatry and Neurology. M-4 Students are offered electives that encompass all specialties and subspecialties including a rural surgery rotation. Residency programs include: Anesthesiology, Oral & Maxillofacial Surgery, Family Medicine, Pathology, Medicine, Radiology, General Dentistry, Surgery, Transitional Year, Obstetrics/Gynecology, and Urology. Fellowships programs are offered in: Dentistry - Dental Operating Room and Forensic Dentistry; Family Medicine - Emergency Medicine and Sports Medicine; Medicine- Cardiology and Pulmonology; Oral & Maxillofacial Surgery - Cleft and Craniofacial Surgery and Oral/Head and Neck Oncologic Surgery; Surgery - Bariatrics and Robotics, Surgical Critical Care and Vascular Surgery. Nine academic departments participate in the Comparative and Experimental Medicine Graduate Program along with the College of Veterinary Medicine and the Department of Microbiology offering both master's and doctoral degrees. Principal research initiatives fall into the categories of (1) Neurodegenerative Diseases, (2) Cancer, and (3) Heart, Lung, Vascular Disorders with (4) Imaging Research playing a significant role in both cancer and neurodegenerative diseases. The Medical Explorations Program is offered to college students who are interested in a medical career.